I write several of my posts whilst travelling, though am always conscious of the hypocrisy of writing an environmentally-themed blog whilst, at the same time, chalking up an embarrassing carbon footprint. Last month, however, I participated in my first “eConference”, in which the participants were linked by the internet. With over 200 people from all over Europe, and beyond, attending for all or part of the three days, there was a substantial environmental benefit and whilst there was little potential for the often-useful “off-piste” conversations that are often as useful as the formal programme of a conference, there were some unexpected benefits. 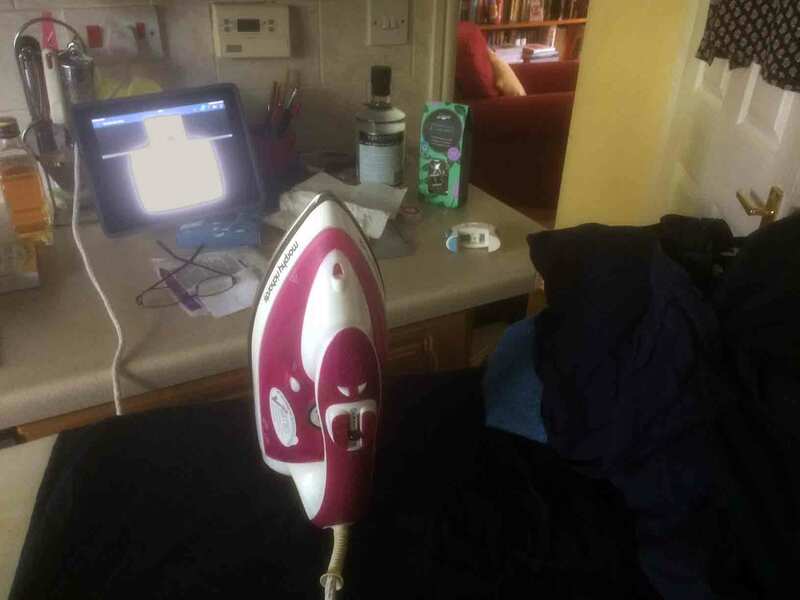 I, for example, managed to get the ironing done whilst listening to Daniel Hering and Annette Battrup-Pedersen’s talks. You can find the presentations by following this link: https://www.ceh.ac.uk/get-involved/events/future-water-management-europe-econference. My talk is the first and, in it, I tried to lay out some of the strengths and weaknesses of the ways that we collect and use ecological data for managing lakes and rivers. I was aiming to give a high level overview of the situation and, as I prepared, I found myself drawing, as I often seem to do, on medical and health-related metaphors. At its simplest, ecological assessment involves looking at a habitat, collecting information about the types of communities that are present and match the information we collect to knowledge that we have obtained from outside sources (such as books and teachers) and from prior experience in order to guide decisions about future management of that habitat. At its simplest, this may involve categoric distinctions (“this section of a river is okay, but that one is not”) but we often find that finer distinctions are necessary, much as when a doctor asks a patient to articulate pain on a scale of one to ten. The doctor-patient analogy is important, because the outcomes from ecological assessment almost always need to be communicated to people with far less technical understanding than the person who collected the information in the first place. I’ve had more opportunity than I would have liked to ruminate on these analogies in recent years as my youngest son was diagnosed with Type I diabetes in 2014 (see “Why are ecologists so obsessed with monitoring?”). One of the most impressive lessons for me was how the medical team at our local hospital managed to both stabilise his condition and teach him the rudiments of managing his blood sugar levels in less than a week. He was a teenager with limited interest in science so the complexities of measuring and interpreting blood sugar levels had to be communicated in a very practical manner. That he now lives a pretty normal life stands testament to their communication, as much to their medical, skills. The situation with diabetes offers a useful parallel to environmental assessment: blood sugar concentrations are monitored and evaluated against thresholds. If the concentration crosses these thresholds (too high or too low), then action is taken to either reduce or increase blood sugar (inject insulin or eat some sugar or carbohydrates, respectively). Blood sugar concentrations change gradually over time and are measured on a continuous scale. However, for practical purposes they can be reduced to a simple “Goldilocks” formula (“too much”, “just right”, “not enough”). Behind each category lie, for a diabetic, powerful associations that reinforce the consequences of not taking action (if you have even seen a diabetic suffering a “hypo”, you’ll know what I mean). Categorical distinctions versus continuous scales embody the tensions at the heart of contemporary ecological assessment: a decision to act or not act is categorical yet change in nature tends to be more gradual. 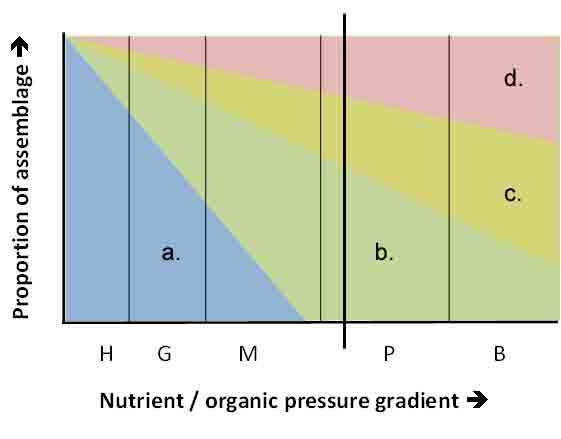 The science behind ecological assessment tends to favour continuous scales, whilst regulation needs thresholds. This is, indeed, captured in the Water Framework Directive (WFD): there are 38 references to “ecological status”, eight in the main text and the remainder in the annexes. By contrast, there are just two references to “ecological quality ratios” – the continuous scale on which ecological assessment is based – both of which are in an annex. Yet, somehow, these EQRs dominate conversation at most scientific meetings where the WFD is on the agenda. You might think that this is an issue of semantics. For both diabetes and ecological assessment, we can simply divide a continuous measurement scale into categories so what is the problem? For diabetes, I think that the associations between low blood sugar and unpleasant, even dangerous consequences are such that it is not a problem. For ecological assessment, I’m not so sure. Like diabetes, our methods are able to convey the message that changes are taking place. Unlike diabetes, they are often failing to finish the sentence with “… and bad things will happen unless you do something”. EQRs can facilitate geek-to-geek interactions but often fail to transmit the associations to non-technical audiences – managers and stakeholders – that make them sit up and take notice. I’d like to think that we can build categorical “triggers” into methods that make more direct links with these “bad things”. In part, this would address the intrinsic uncertainty in our continuous scales (see “Certainly uncertain …”) but it would also greatly increase the ability of these methods to communicate risks and consequences to non-technical audiences (“look – this river is full of sewage fungus / filamentous algae – we must do something!”). That’s important because, whilst I think that the WFD is successful at setting out principles for sustainable management of water, it fails if considered only as a means for top-down regulation. In fact, I suspect that Article 14, which deals with public participation, is partly responsible for regulators not taking action (because “costs” are perceived as disproportionate to “benefits”) than for driving through improvements. We need to start thinking more about ensuring that ecologists are given the tools to communicate their concerns beyond a narrow circle of fellow specialists (see also “The democratisation of stream ecology?”). Despite all the research that the WFD has spawned, there has been a conspicuous failure to change “hearts and minds”. In the final analysis, that is going to trump ecological nuance in determining the scale of environmental improvement we should expect. I was in Nottingham last week for a CIEEM conference entitled “Skills for the future” where I led a discussion on the potential and pitfalls of DNA barcoding for the applied ecologist. It is a topic that I have visited in this blog several times (see, for example, “Glass half full or glass half empty?”). My original title was to have been “Integrating metabarcoding and “streamcraft” for improved ecological assessment in freshwaters”; however, this was deemed by the CIEEM’s marketing staff to be insufficiently exciting so I was asked to come up with a better one. I was mildly piqued by the implication that my intended analysis of how to blend the old with the new was not regarded as sufficiently interesting so sent back “Metabarcoding: will it cost me my job?” as a facetious alternative. They loved it. So all I had to do was find something to say that would justify the title. Driving towards Nottingham it occurred to me that the last time I should have made this trip was to Phil Harding’s retirement party. I was invited, but had a prior engagement. I would have loved to have been there as I have known Phil for a long time. And, as I drew close to my destination, it occurred to me that Phil’s career neatly encapsulated the development of freshwater ecological assessment in the UK over the past 40 years. He finished his PhD with Brian Whitton (who was also my supervisor) in the late 1970s and went off to work for first North West Water Authority and then Severn Trent Water Authority. When the water industry was privatised in 1989, he moved to the National Rivers Authority until that was absorbed into the Environment Agency in 1995. Were he more ambitious he could have moved further into management, I am sure, but Phil was able to keep himself in a jobs that got him out into the field at least occasionally throughout his career. That means he has experienced the many changes that have occurred the past few decades first hand. Phil had a fund of anecdotes about life as a freshwater biologist. 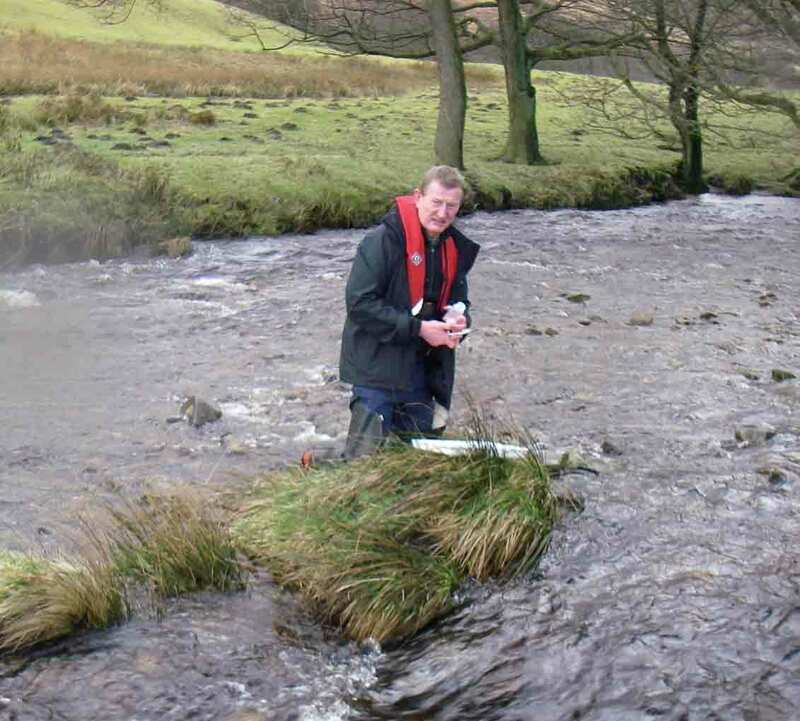 I remember one, in particular, about sampling invertebrates in a small stream in the Midlands as part of the regular surveys that biologists performed around their areas. On this particular occasion he noticed that some of the invertebrate nymphs and larvae that he usually saw at this site were absent when he emptied out his pond net into a tray. Curious to find out why, he waded upstream, kicking up samples periodically to locate the point at which these bugs reappeared in his net. Once this had happened, he knew that he was upstream of the source of the problem and could focus on searching the surrounding land to find the cause. On this occasion, he found a farmyard beside a tributary where there was a container full of pesticides that had leaked, poisoning the river downstream. I recount this anecdote at intervals because it sums up the benefits of including biology within environmental monitoring programmes. Chemistry is very useful, but samples are collected, typically, no more than once a month and, once in the laboratory, you find a chemical only if you set out to look for it and only if it was present in the river at the time that the sample was collected. Chemical analysis of pesticides is expensive and the concentrations in rivers are notoriously variable, so the absence of a pesticide in a monthly water sample is no guarantee that it was never there. The invertebrates live in the river all the time, and the aftershocks of an unexpected dose of pesticide are still reverberating a few weeks later when Phil rolls up with his pond net. But the success of this particular incident depends on a) Phil being alert enough to notice the change and b) having time for some ad hoc detective work. This encapsulates the “streamcraft” which formed part of my original title. This is the ability to “read” the messages in the stream that enable us to understand the processes that are taking place and, in turn, the extent to which man’s activities have altered these (see “Slow science and streamcraft”). It is something you cannot be taught; you have to learn it out in the field, and the Environment Agency and predecessors was, for a long while, well set up to allow this process of personal development. Changes over the past few years, in the name of greater efficiency (and, to be fair, in the face of enormous budget cuts) have, I fear, seriously eroded this capability, not least because biologists spend far less time in the field, and are no longer responsible for collecting their own invertebrate or diatom samples. 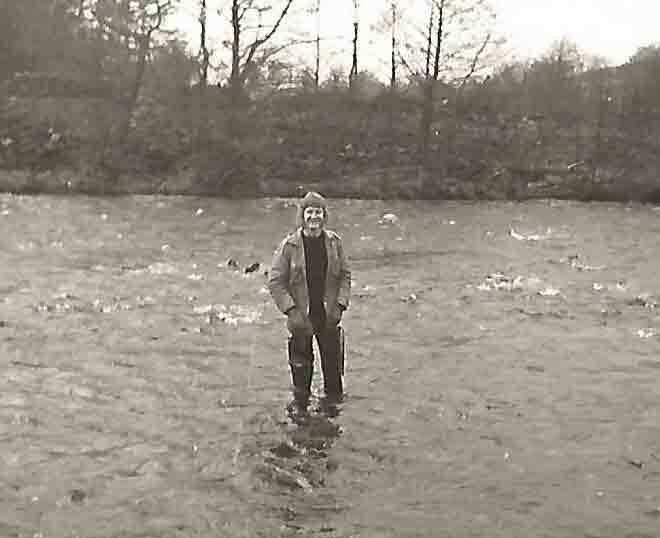 Phil Harding: forty years on, sampling algae in the River Ashop in Derbyshire. In my talk, I was thinking aloud about the interactions between metabarcoding and the higher level cognitive skills that a good biologist needs. I feared that, in the wrong hands, it could be yet another means by which the role of the biologist was eroded to that of a technician feeding samples into one end of a series of swish machines, before staring at spreadsheets of data that emerged from the other end. All the stages where the old school biologist might parse the habitat or sample s/he was investigating and collect signs and indications of its condition over and above the bare minimum set in the protocol were stripped away. A further reason why this might be a problem is that molecular ecology takes a step backwards from the ideal of biological assessment. Much as the chemist only sees what his chosen analyses allow him to see, so the molecular biologist will only “see” what his particular set of primers reveal. Moreover, their interpretation of the spreadsheets of data that emerge is less likely to be qualified by their direct experience of the site because their time is now too precious, apparently, to allow them to collect samples for routine assessments. A few points emerged out of the discussion that followed (the audience included representatives of both Environment Agency and Natural England). First, we agreed that metabarcoding is not, itself, the problem; however, applying metabarcoding within an already-dysfunctional organisation might accentuate existing problems. Second, budgets are under attack anyway and metabarcoding may well allow monitoring networks to be maintained at something approaching their present scale. Third, the issue of “primers” was real but, as we move forward, it is likely that the primer sets will be expanded and a single analysis might pick up a huge range of information. And, finally, the advent of new technologies such as the MinION might put the power of molecular biology directly into the hands of field biologists (rather than needing high throughput laboratories to harness economies of scale). That last point is an important one: molecular ecology is a fast moving field with huge potential for better understanding of the environment. However, we need to be absolutely clear that an ability to generate huge amounts of data does will not translate automatically into that better understanding. We will still need biologists with an ability to exercise higher cognitive skills and, therefore, organisations will need to provide biologists with opportunities to develop those skills. Metabarcoding, in other words, could be a good friend to the ecologist but will make a poor master. In the short term , the rush to embrace metabarcoding because it is a) fashionable and b) cheap may erode capabilities that have taken years to develop and which will be needed it we are to get the full potential out of these methods. What could possibly go wrong? 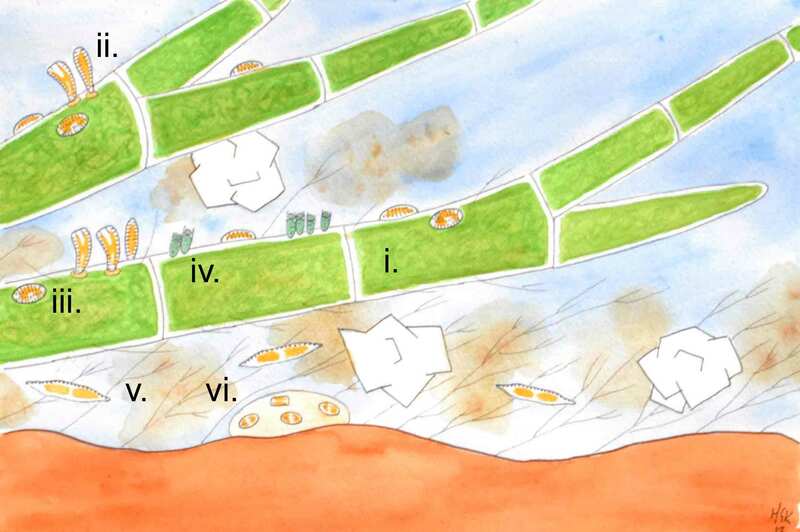 A few months ago, I wrote briefly about the problems of naming and identifying very small diatoms (see “Picture this?”). It is a problem that has stayed with me over the last few months, particularly as I oversee a regular calibration test for UK diatom analysts. The most recent sample that we used for this exercise contained a population of the diatom formerly known as “Eolimna minima”, the subject of that post. Using the paper by Carlos Wetzel and colleagues, we provisionally re-named this “Sellaphora atomoides”. Looking back into my records, I noticed that we had also recorded “Eolimna minima” from an earlier slide used in the ring test. These had a slightly less elliptical outline, and might well be “Sellaphora nigri” using the criteria that Wetzel and colleagues set out. There are slight but significant differences in valve width, and S. nigri also has denser striation (though this is hard to determine with the light microscope). These populations came from two streams with very different characteristics, so there is perhaps no surprise that there are two different species? 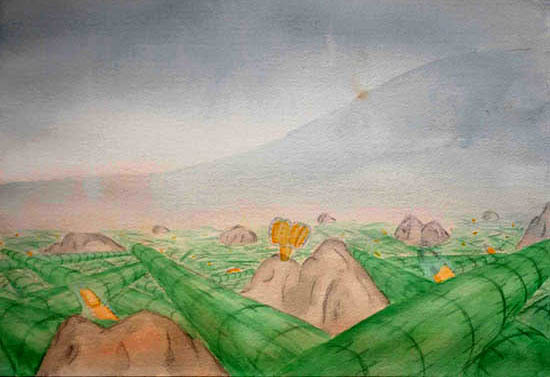 A population of “Eolimna minma” / Sellaphora cf. atomoides from unnamed Welsh stream used in UK/Ireland ring test (slide #39) (photographs: Lydia King). The differences in ecology are what concern me here. Wetzel and colleagues focus on taxonomy in their paper but make a few comments on ecology too. They write: “The general acceptance is that S. atomoides … is usually found in aerial habitats (or more “pristine” conditions) while the presence of Sellaphora nigri … is more related to human-impacted conditions of eutrophication, pesticides, heavy metal pollution and organically polluted environments”. This statement is worrying because it suggests that the ecological divide between these two species is clear-cut. Having spent 30 pages carefully dissecting a confusing muddle of species, it strikes me as counterproductive to repeat categorical statements made by earlier scientists who they had just demonstrated to have a limited grasp of the situation. The risk is that a combination of slight differences in morphology coupled with (apparently) clear differences in ecology leads to the correct name being assigned based on the analyst’s interpretation of the habitat, rather than the characteristics of the organism. This is not speculation on my part, as I have seen it happen during workshops. On two occasions, the analysts involved were highly experienced. Nonetheless, the justification for using a particular name, in each case, was that the other diatoms present suggested a certain set of conditions, which coincided with the stated preferences for one species, rather than with those for a morphologically-similar species. I have no problem with environmental preferences being supporting information in the designation of a species – these can suggest physiological and other properties with a genetic basis that separate a species from closely-related forms. However, I have great concerns about these preferences being part of the identification process for an analysis that is concerned, ultimately, with determining the condition of the environment. It is circular reasoning but, nonetheless, I fear, widespread, especially for small taxa where we may need to discern characteristics that are close to limits of the resolution of the light microscope. Gomphonema exilissimum is a case in point. 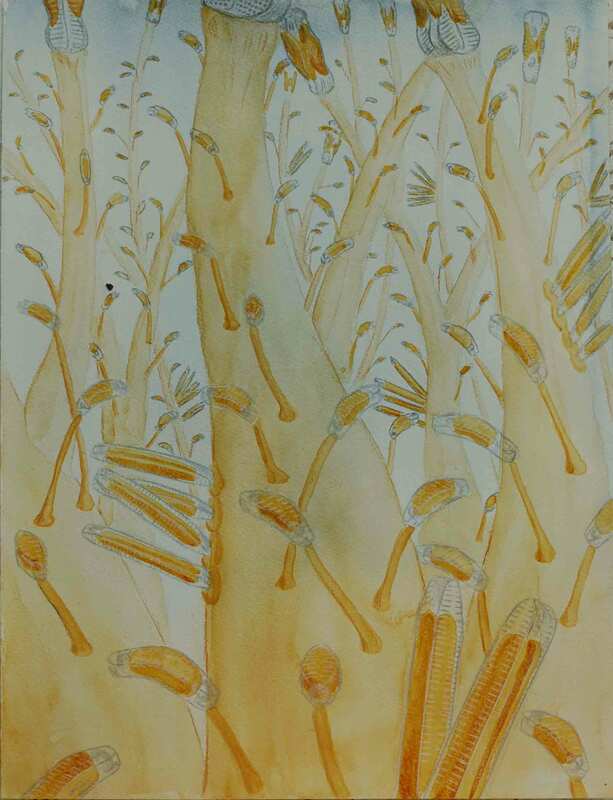 It is widely-regarded as a good indicator of low nutrients (implying good conditions) yet there have been papers recently that have pointed out that our traditional understanding based on the morphology of this this species and close relatives is not as straightforward as we once thought. Yet, the key in a widely-used guide to freshwater diatoms (written with ecological assessment in mind) contains the phrase “In oligotrophen, elektrolytarmen, meist schwach sauren Habitaten” (“in oligotrophic, electrolyte-poor, mostly weakly-acid habitats”) amongst the characters that distinguish it from close relatives. The temptation to base an identification wholly or partly on an inference from the other diatoms present is great. Including an important environmental preference in a key designed for use by people concerned with ecological assessment brings the credibility of the discipline into question. Either a species can be clearly differentiated on the basis of morphology alone, or it has no place in evaluations that underpin enforcement of legislation. That, however, takes us into dangerous territory: there is evidence that the limits of species determined by traditional microscopy do not always accord with other sources of evidence, in particular DNA sequence data. These uncertainties, in turn, contribute to the vague descriptions and poor illustrations which litter identification guides, leaving the analyst (working under time pressure) to look for alternative sources of corroboration. I suspect that many of us are guilty of “identification by association” at times. We just don’t like to admit it. Wetzel, C., Ector, L., Van de Vijver, B., Compère, P. & Mann, D.G. (2015). 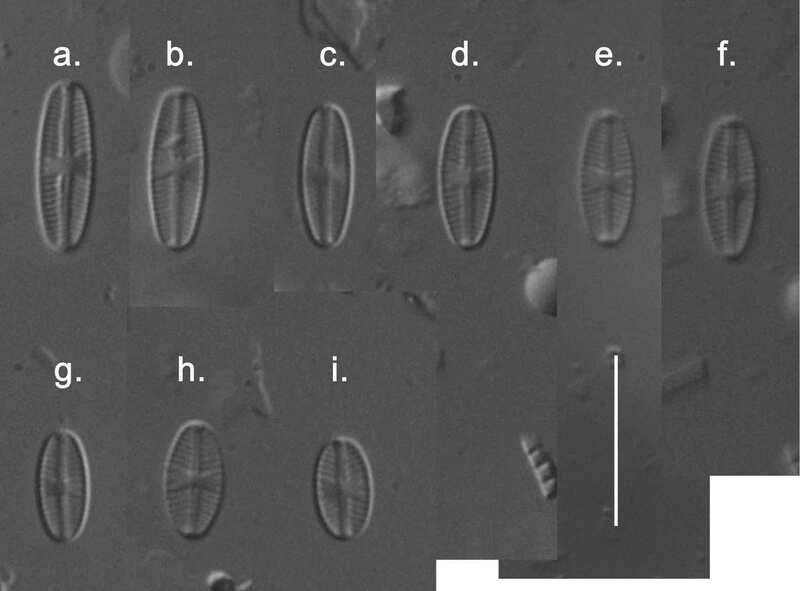 Morphology, typification and critical analysis of some ecologically important small naviculoid species (Bacillariophyta). Fottea, Olomouc 15: 203-234. Rose, D.T. & Cox, E.J. (2014). What constitutes Gomphonema parvulum? 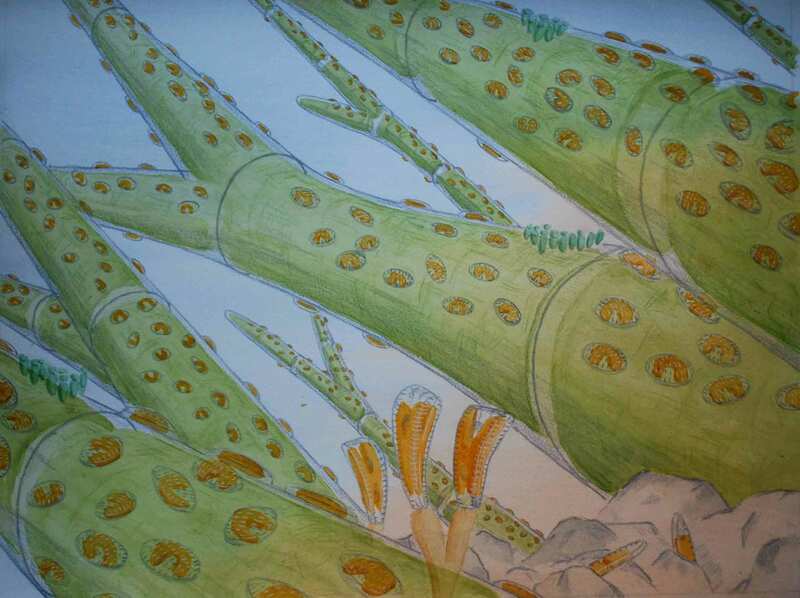 Long-term culture studies show that some varieties of G. parvulum belong with other Gomphonema species. Plant Ecology and Evolution 147: 366-373. 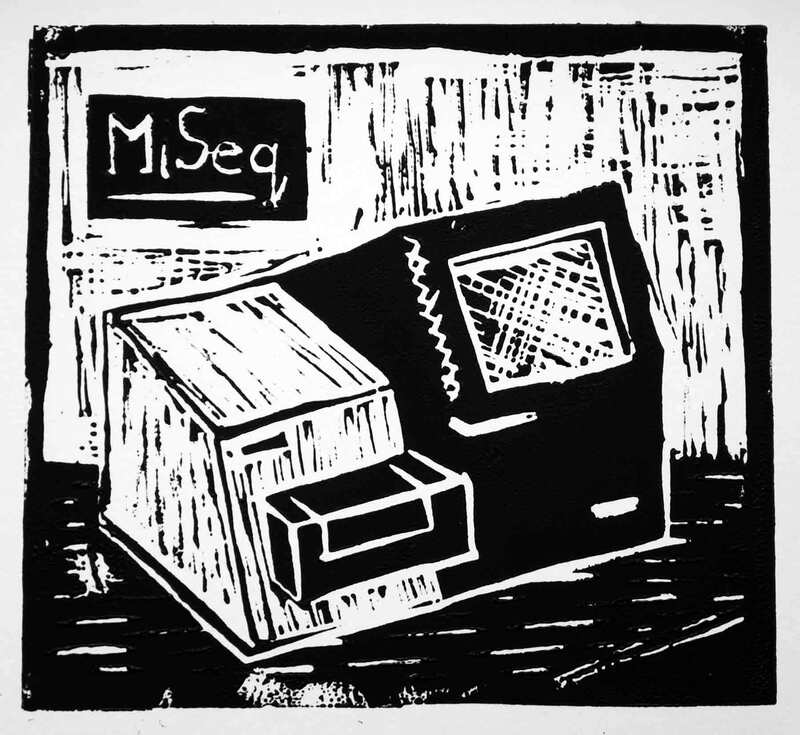 Today’s post starts with a linocut of an Illumina MiSeq Next Generation Sequencer (NGS), as part of an ongoing campaign to demystify these state-of-the-art £80,000 pound instruments. It’s just a box stuffed with clever electronics. The problem is that tech-leaning biologists go misty-eyed at the very mention of NGS, and start to make outrageous claims for what it can do. But how much are they actually going to change the way that we assess the state of the environment? I approach this topic as an open-minded sceptic (see “Replaced by a robot?” and “Glass half full or glass half empty?” and other posts) but I have friends who know what buttons to press, and in what order. Thanks to them, enough of my samples have been converted into reams of NGS data for me now to be in a position to offer an opinion on their usefulness. reducing error / uncertainty when assessing variables with highly-contagious distributions. Many of the techniques under consideration measure “environmental DNA” (“eDNA”) in water samples. eDNA is DNA released into water from skin, faeces, mucus, urine and a host of other ways. In theory, we no longer need to hunt for Great Crested Newts in ponds (a process with a high risk of “type 2 errors” – “false negatives”) but can take water samples and detect the presence of newts in the pond directly from these. The same logic applies to lake fish, many of which move around the lake in shoals, which may be missed by sampler’s nets altogether or give false estimates of true abundance. In both of these cases, the uncertainties in traditional methods can be reduced by increasing effort, but this comes at a cost, so methods based on eDNA show real potential (the Great Crested Newt method is already in use). I’ve written many posts about the problems associated with identifying diatoms. We have ample evidence, now, that there are far more species than we thought 30 years ago. This, in turn, is challenging the ability to create consistent datasets when analysts spread around several different laboratories are trying to make fine distinctions between species based on a very diffuse literature. Those of us who study diatoms now work at the very edge of what can be discriminated with the light microscope and the limited data we do now have from molecular studies suggests that there are sometimes genetic differences even when it is almost impossible to detect variation in morphology. NGS has the potential for reducing the analytical error that results from these difficulties although, it is important to point out, many other factors (spatial and temporal) contribute to the overall variation between sites and, therefore, to our understanding of the effect of human pressures on diatom assemblages. This is one of the big benefits of NGS in the short term. The reduction in cost is partly a result of the expenses associated with tackling the first two points by conventional means. You can usually reduce uncertainty by increasing effort but, as resources are usually limited, this increase in effort means channelling funds that could be used more profitably elsewhere. However, there will also be a straightforward time saving, because of the economies of scale that accompanies high-throughput NGS. A single run of an Illumina MiSeq can process 96 samples in a few hours, whereas each would have required one to two hours for analysis by light microscope. Even when the costs of buying and maintaining the NGS machines are factored in, NGS still offers a potential cost saving over conventional methods. It is worth asking whether these three scenarios – statistical, taxonomic and financial – really amount to better science, or whether NGS is just a more efficient means of applying the same principles (“name and count”) that underpins most ecological assessment at present. From a manager’s perspective, less uncertainty and lower cost is a beguiling prospect. NGS may, as a result, give greater confidence in decision making, according to the current rules. That may make for better regulation, but it does not really represent a paradigm shift in the underlying science. Baird, D.J. & Hajibabaei, M. (2012). Biomonitoring 2.0: a new paradigm in ecosystem assessment made possible by next-generation DNA sequencing. Molecular Ecology 21: 2039-2044.